Guess who’s coming back! The official date for Jawa’s return in India is slated for 15th November. As per our sources, total 3 Jawa bikes will launch in India before the end of this year. Jawa is making a comeback in India on 15th November 2018. Mahindra has said that they have kept the original looks of the old Jawa as much as possible. As per our sources, the launch with prices is scheduled in December. The deliveries will start in January. Currently, the engine of the iconic bike has been unveiled. One of the engines is a 293cc liquid-cooled single cylinder engine. The bike will go against the likes of Royal Enfield Classic 350, which was its prime competitor back at that time. Read more about the bike here. Our sources say that the Jawa Motorcycles will range from 250cc to 400cc, which will include total 3 iterations. 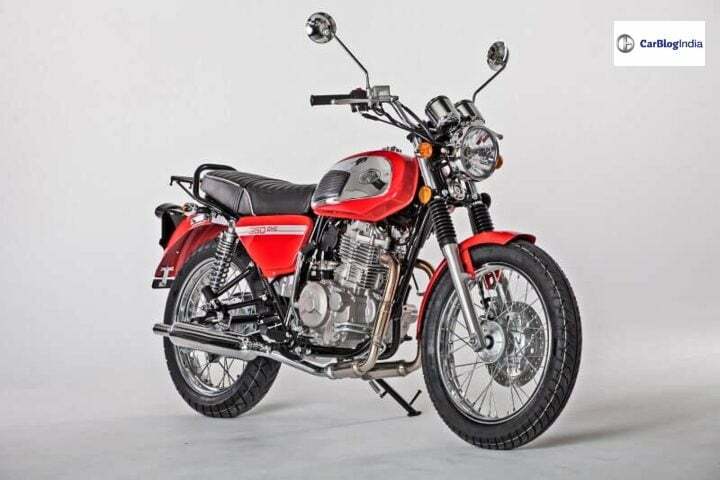 The sources also say that Yezdi bikes might also launch. So out of the 3 bikes, there are chances 2 might be under the Jawa name and 1 might be under the Yezdi name. One of the Jawa Motorcycle gets a 293cc liquid cooled fuel injected engine, which is BS-VI compliant. The engine produces 27 HP and 28 Nm of torque. The power figures are better than that of Classic 350. Mahindra claims that the bike will offer a generous mid-range and a flat torque curve. The engine will come mated to a 5-speed manual gearbox. While Mahindra claims to keep its retro looks and charm as original as possible, we strongly believe their claims. The bike will come with its iconic round headlamps, twin-pod headlamps, a long single seat, the faux cooling fins and heavy chrome detailing. Modern features will include, front and rear disc brake, an engine kill switch, a dual-channel ABS and projector headlamps. We expect the mileage figures to be around 35 kmpl, which might come down to 30 kmpl on real-road driving. The top-speed expected from this bike is around 120 km/hr. It might weigh around 160 kgs in total. Lastly, our sources said that the Jawa might be priced lower than Mojo bikes. Given that the Mojo range starts from 1.49 Lakhs, we expect the iconic bike range to start from Rs 1.3 Lakhs. Stay tuned on CarBlogIndia for more updates on the Jawa Motorcycles.